Oh hey, its my face again. Please ignore the fact that my fringe is clearly in my eyes in this photo, its gotten far too long. Just focus on the outfit instead haha. Today I’m coming at you with some 80s outfit vibes! As I mentioned in my last post, I’m kinda obsessed with Stranger Things at the moment. I mean, who isn’t? The second season came out and I honestly just fell in love with the show all over again. Since then, I feel like I’ve been channeling my inner 80s fashion even more than normal haha. I kinda bought this jumper without thinking about it, but I’m so glad I did because I’ve been loving the pop of red it gives to any outfit. 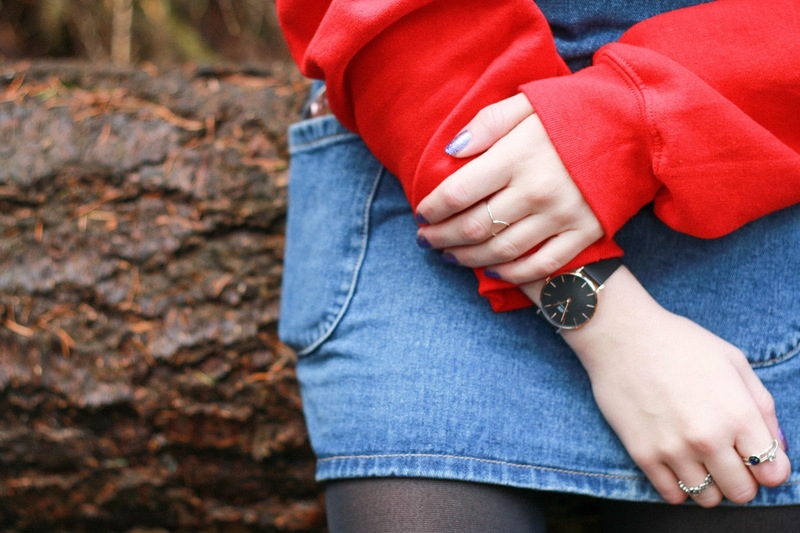 I always accessories my outfits as well, and paired my Daniel Wellington Classic Petite Ashfield* with this outfit. I love the minimal look of this, and it goes with pretty much everything. Daniel Wellington actually have an offer on at the moment, when you buy a watch you will get a strap included without any extra cost. So good! Anyway, back to the rest of the outfit. 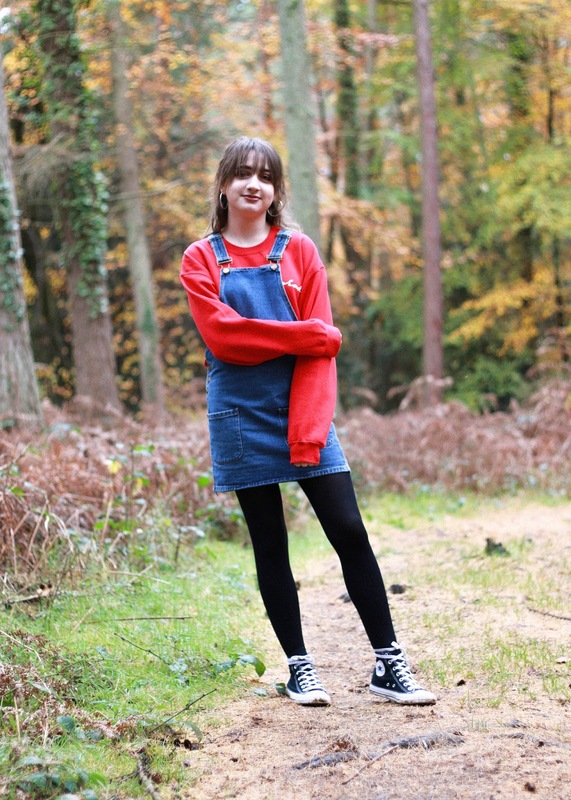 I paired the jumper with my favourite pinafore dress from Primark, and I love the way it looks. To keep the look super casual, I wore my trusty high top converse, which are pretty much my go-to shoes at the moment. Another thing to mention, you can also get 15% off at Daniel Wellington with the code ‘foreverseptemberrDW’ if you wish to purchase your own watch. This works alongside the free strap offer as well, so if you’ve been thinking about getting one, this is a great time!